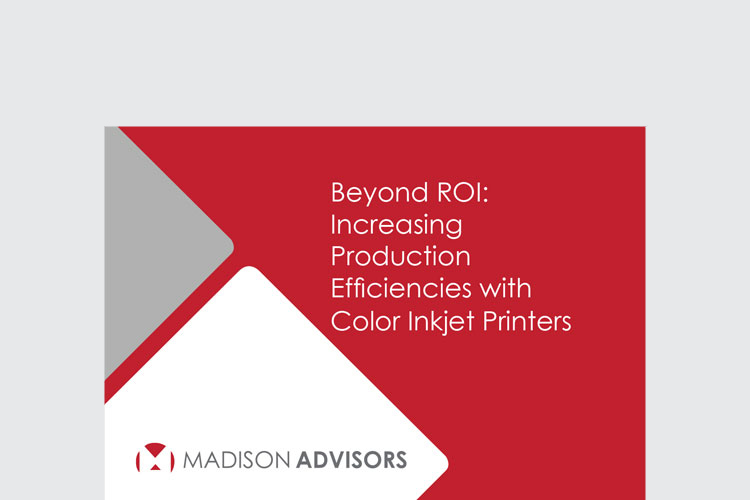 March 14, 2017, Colleyville, TX—Madison Advisors—Madison Advisors today announced the release of its new research, “Beyond ROI: Increasing Production Efficiencies with Color Inkjet Printers.” The research uncovered that many companies seeking an inkjet solution tend to overlook the importance of workflow when conducting due diligence. Furthermore, it was found that this oversight results in a diminished realization of the full value of an inkjet investment. The study also finds that while output quality, throughput and the range of supported media are important considerations before making an inkjet investment, workflow software selection is often conducted as an ancillary project after the capital investment has been made. Madison Advisors’ stance is that this decision sequence should be reversed. 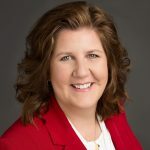 Madison Advisors’ research is valuable both for service providers who are considering investing in a color inkjet printer and for those who have already made the investment, as it helps define a print service provider’s optimal workflow to point them in the right direction for a maximized ROI. 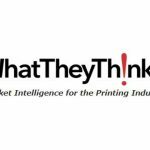 To purchase the full report “Beyond ROI: Increasing Production Efficiencies with Color Inkjet Printers,” click here.